Rock Hard 4x4 is very proud to offer the original and most trusted bolt-in Sports Cage for the Jeep Wrangler JK 2/4DR 2007 - 2010. Don't buy a "version" of a bolt-in cage, install the one that started it all. Please Note: Test fitting is required prior to powder coating / paint. 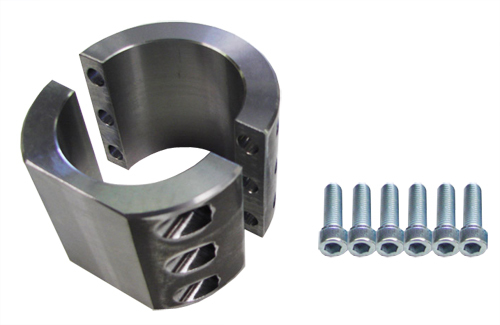 While we make every effort to insure the highest quality parts arrive for install, Rock Hard 4x4 cannot be held liable for any coating expenses on cage components. The RH4x4 Jeep bolt-in Sport Cage is the cornerstone of Rock Hard 4x4 parts. Developed first for the Jeep Wrangler TJ and proven after years and years of trail use and abuse - the RH4x4 bolt-in Sports Cage has become one of the most popular safety upgrades in the Jeep aftermarket industry. Our proprietary locking collars are arguably the safest and most secure way to not only strengthen your Jeep's cabin but also provide you and your passengers the peace and mind that comes with a premium cage system. 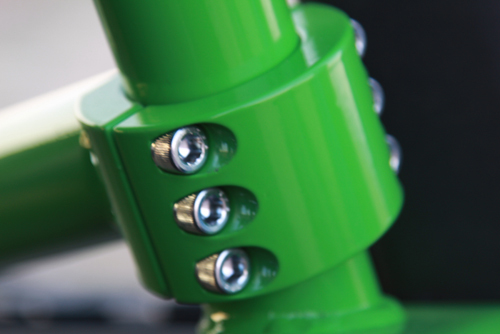 No other bolt-in cage comes close to the fitment, quality, and durability of our system. Protected by Patent US6908107 and used in all our cage systems, our locking collars are the foundation for our Ultimate Sports Cage upgrade. Magazine editors, trail guides, wheelers from across the world, and even competitors have turned to our bolt-in cage for over a decade for their own vehicles. The strength our collars provide is inherent in how they couple our cage components together. Our patent not only protects RH4x4 from domestic and overseas "knock-offs" but also gives you the peace of mind knowing we stand 100% behind our product. Our registration gives you the exact definition and purpose for our cage components. We encourage you to read our patent registration and see just how much thought, time, and care was put into our system. Why has no other manufacturer patented their cage system? Either its a copy of another system, or they simply don't feel confident enough in their development. Don't purchase a component that was simply meant to compete in a market, purchase a product that was born to create a market. Success stories of our bolt-in Sports Cage are not hard to find. Virtually every Jeep forum online contains detailed user-installed threads and photos of how DIY'ers were able to not only install our cage but enjoy it run after run. This is THE Jeep cage. With our patent secured over a decade ago we began production on our cages. Each collar, cap, and tube component in our system is produced in house. This gives us total control over manufacturing to ensure that once a system leaves our facility and gets installed in your Jeep, we know it will continue to uphold our sterling reputation. Our locking collars and caps are solid 1/2" thick CNC machined steel and produced in house. Each cap is secured to it's matching collar with six 5/16" x 1" grade 8 socket head cap screws. Once a cap is secured to it's collar it becomes a solid, unbreakable joint. This means assembly and disassembly is achieved without welding or cutting which could potentially damage your Jeep's interior or expensive cage powder coat/paint finish. 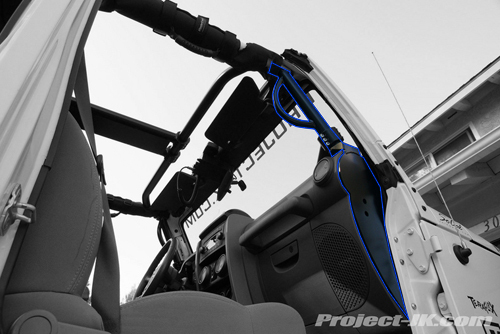 Our tubing, which connects our collars, is made from extremely strong 1 3/4" .120 wall steel tube and are precisely cut and fit for your Jeep model. There is no guess work when it comes to which component installs where. Each collar is expertly hand welded to it's matching tube section and can only install one way. Our overhead streamer that connects our upper/across windshield bar to your OEM sound bar has been plated with 14 gauge steel to provide both a clean look and also give you an out of the way, convenient accessory mounting location. 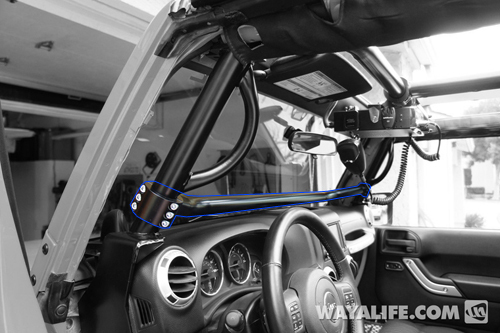 Mount your CB, flashlight, safety gear, or any other accessory you want to be able to reach easily and quickly. Thanks in part to our collar design there is no need to ship you a completely welded together cage system that requires major vehicle disassembly. Our cage ships in a complete package that includes the individual components that assemble into our sports cage. Simply powder coat or paint the color of your choice and use our easy to follow instructions to complete your own install. The secret behind our system's ease of install is precise fitment. From our dash bar that retains use of your tweeter speakers to our overhead streamer, each component is an exact fit for your model Jeep. 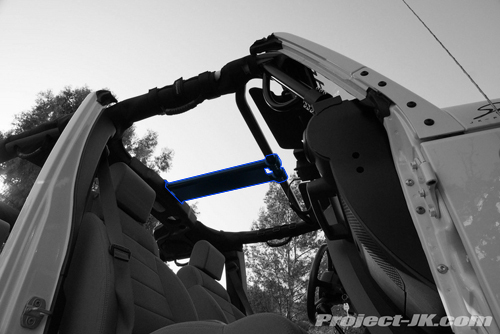 Included in our front cage a-pillar uprights are welded on grab handles angled to not only make it easier to climb in and out of your Jeep, but also allow you to retain your OEM sun visors. RH4x4 Sport Cages are very recognizable for two major reasons: owners bragging about cage and consistent, clean, functional design. What makes up a RH4x4 cage is what makes them so strong. Overhead Cage Streamer with welded on plate steel mounting plate. This cage section connects with twin collars/caps our upper across windshield bar to your OEM sound bar via secure, heavy duty hardware. Over and Across Windshield Cage Section - when coupled with Overhead Cage Streamer forms the "t-section". This connects to your OEM cage and crumple zones for safety and rigidity. Dash Bar Cage Section - connects to the mirror image a-pillar uprights. Couples with matching collar caps and not only adds rigidity to your cage but also gives you limitless mounting points for accessories like cameras and GPS systems with our RH-1021 1 3/4" Accessory Mounting Bracket. Our dash bar is angled to provide clearance for your factory tweeters and maximum clearance for aftermarket dash accessories like the 2007-2010 Daystar cargo tray. Your view is not obstructed by dash bar. A-pillar Upright Cage Sections - mirror image cage components that tie in the steel structure behind your dash, the extreme rigidity of your door posts, and your upper windshield frame. Each door upright includes a hand welded heavy duty grab handle in exactly the right position. 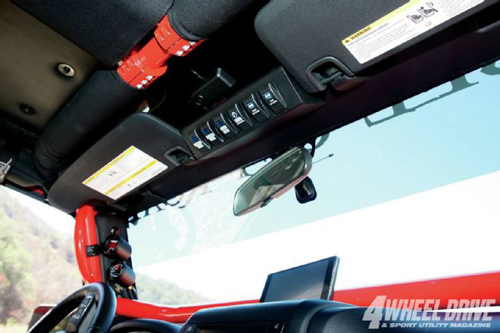 Windshield Tie-In Mounts to A-pillar Uprights - your windshield is an integral part of your cage system, which is why the factory and Rock Hard 4x4 have chosen to keep them connected. In fact, we bolt our a-pillar upright directly to one another. In the unfortunate event of a roll over, you don't want your windshield to no longer have any upper support beyond the lower mounting plate. Flapping metal and glass out front of your rig can be extremely dangerous. A competing cage removes that upper support making your cabin a very dangerous place to be in a rollover. 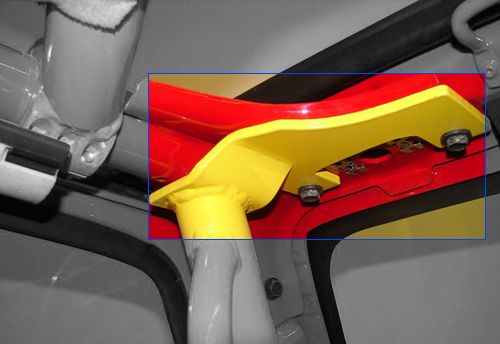 The Rock Hard 4x4 cage provides proper windshield frame support by mounting our a-pillar uprights to existing brackets. This keeps your windshield frame in place during a rollover and maintains your factory crumple zones. Tweeter Speaker Compatibility - You do not have to relocate, disconnect, or adjust your tweeter during installation. Our dash bar does not require you touch your tweeter speaker at all. Add a RH-1401 JK 2/4DR Front Cargo System to expand your storage safely and securely! Sold separately. Rock Hard 4x4 Parts has been in the bolt-in sports 'cage and bumper business for more than 20 years. In that time it has perfected the bolt-in sports 'cage design and applied it to almost every Jeep model available. The Ultimate Sports Cage kit offers an easy bolt-in installation that uses Rock Hard 4x4 Parts' patented locking collar connections, which are said to be the strongest of its kind. All components of the Ultimate Sports Cage are 100-percent made in the USA at Rock Hard 4x4 Parts' 30,000-square-foot manufacturing facility in Nebraska." There is nothing wrong with a race ready, NHRA/JeepSpeed/NASCAR/WRC/F1 approved, sonic tested, x-ray verified, high velocity impact tested, fully welded cage custom designed for your individual race vehicle. Except of course, the unaffordable price, massive vehicle disassembly, user unfriendly nature, and it goes without saying - non DIY install requirements. Those are just a few of the reasons we prefer our bolt-in method. Our RH4x4 bolt-in ready cage eliminates the headaches of a fully welded in cage for the wheeler from all walks of life yet provides an unbelievably strong, proven cage design. How secure is the RH4x4 locking collar? If we didn't believe 100% in our collar design we wouldn't run it in our own rigs. It's patented design provides an unbreakable joint and you can feel confident will keep you and your passengers safe for a lifetime of trail use. Why not replace the entire vehicle cage? The answer is simple: crumple zones. The section of OEM cage that runs along the top of your doors from front to back has factory designed and DOT approved crumple zones that are designed to absorb impact during a roll over or collision. Without theses absorption sections your cage would "sheer" and not provide any protection. If we were to replace those with solid steel tubes, removing any absorption during roll over, your safety would be compromised. By retaining those crumple zones we can maximize their attributes and provide a more secure and safe system. Can I buy individual components of the front "main" cage? No. Under no circumstances can we sell individual components of a new cage system. No. Our locking collars allow for a DIY no-weld, truly bolt-in install. What hardtops / soft tops / sun shades are compatible with our cage system? Every top on the market is compatible with our cage system. 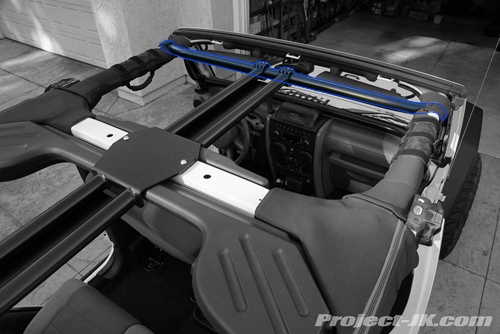 From your factory hardtops and soft tops to popular aftermarket tops like the Wildboar™ Fastback, Bestop™ Trektop™, and Spiderwebshade™ tops, you can rest assured our cage works with your top. Some minor trimming may be required at the corners of the windshield frame where the hardware protrudes. Do I have to relocate or lose my dash speakers? No. 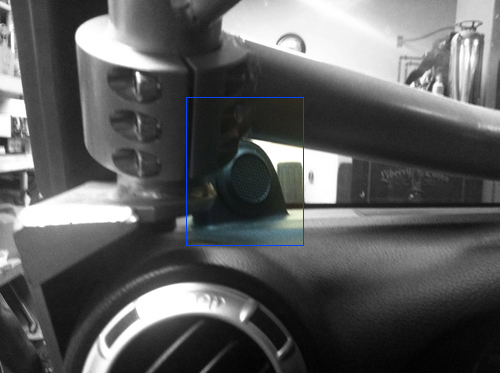 Our dash bar does not require you to cut, trim, or relocate your OEM speakers. Is my sPOD gauge/switch panel compatible? Yes. We've worked very closely with the sPOD team to ensure our cage and their wire management system are 100% compatible. Our cage systems ship in a raw, bare metal finish. This prevents potential shipping damage but more importantly allows you the freedom to select your own color locally. Continue a color theme into your cabin for a more unique, your Jeep look! 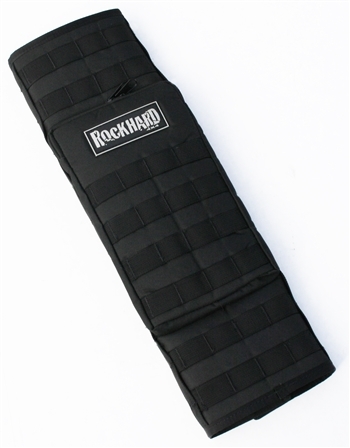 All products sold by Rock Hard 4x4™ are sold for off road use only. Any other use or application is the responsibility of the purchaser and/or user.